For many Americans, tailgating is not just an interest, it’s a way of life. For a typical tailgate party, you may need to power a refrigerator or cooler, big screen TV, satellite, and other miscellaneous items. 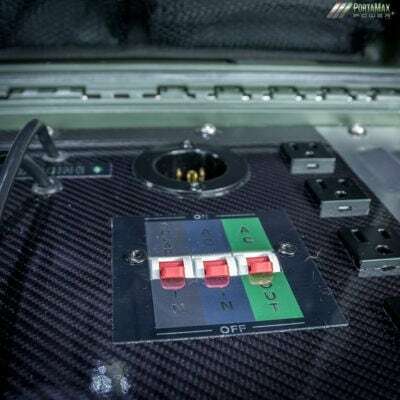 This will require a solar generator with the output capacity to run some serious electronics, and enough battery power to handle your needs even in poor weather conditions, or into the night. In other words, your tailgate party needs a clean, portable, quiet, and sustainable power source. 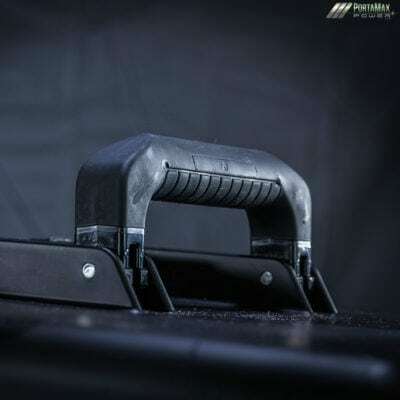 The PortaMaxPower Solar Sentinel 2400 is the ideal solution that will easily handle all your tailgate party needs! You'll Run Out of Beer Before You Run Out of Power! More and more venues have noise and carbon restrictions that make it impossible to power your essential electronics with a traditional gas generator. But the truth is – most solar-powered generators on the market today are made to disappoint as well. 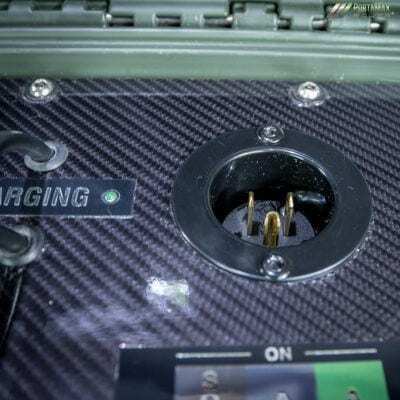 Assuming you can find one with the required wattage output capability, the batteries in most portable solar generators lack the capacity to run your electronics for the duration. And if your battery goes out, the solar panels usually take days to recharge, even under ideal conditions. In short, a typical solar-powered generator could become a major buzz-kill for your tailgate party. 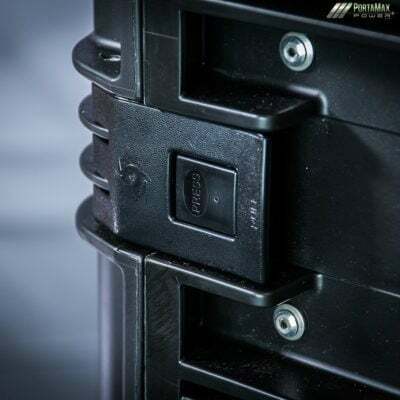 With the PortaMaxPower Solar Sentinel 2400, there are no worries about running out of power before you run out of beer. 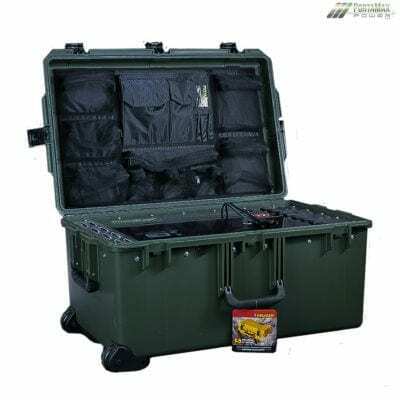 Our solar generator is made with proprietary, state-of-the-art technology that packs maximum power into a rugged, portable, easy to carry unit. Our hybrid inverter/charger provides 2,000 watts of continuous Pure Sine Wave AC power that can reliably operate anything you can plug into a standard outlet; including refrigerators/freezers, LED/plasma TVs, blenders, and more. 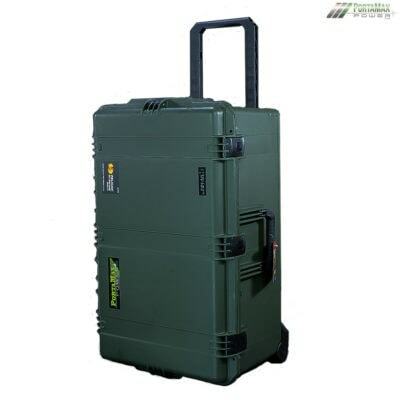 Our generator also contains a 24v 100ah LiFePO4 battery, which is the finest technology available today. This battery is ultra-safe, has among the highest power-to-weight ratios, and is guaranteed to last at least 2,000 life cycles. The battery supplements solar power during high demand in daylight, and is the sole power supply when there is no sun (poor weather conditions or at nighttime). Needless to say, our unit has superior solar capabilities over the competition. 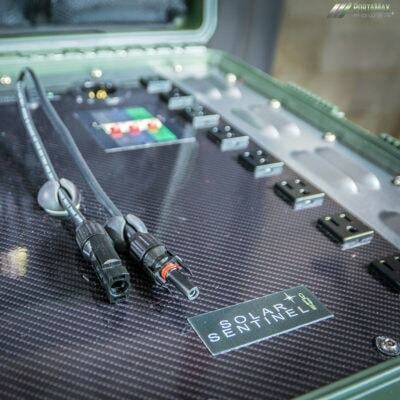 If you’re taking the Solar Sentinel 2400 out for a gameday tailgate on a full charge, it’s very possible that it will handle all your electronics without the need for additional solar charging. If you plan to be there into the evening or you’re doing an overnight, simply set up our lightweight and powerful 330-watt, 57V @ 5.7A SunPower solar panels during daylight hours (we recommend 3 panels for most applications for 990-watts, 57V @ 17.1A) to keep the battery charged. Our folding solar panels weigh no more than 15 lbs. 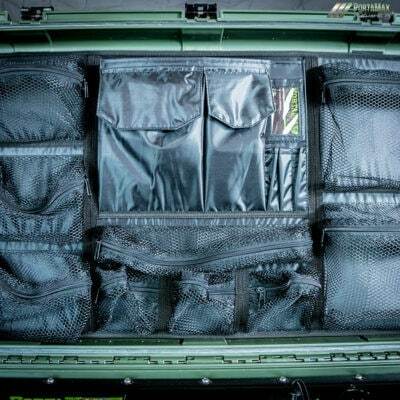 each and can fold up to 36″x36″, allowing them to fit easily into most vehicles. 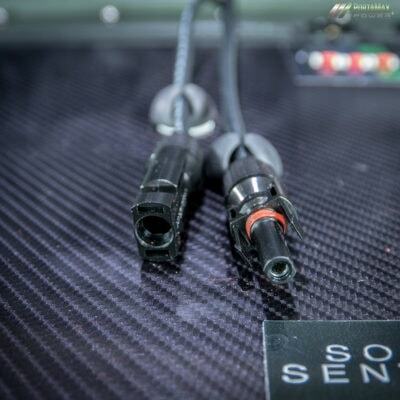 They are far lighter than those of most of our competitors, while supplying more than three times the amount of power. 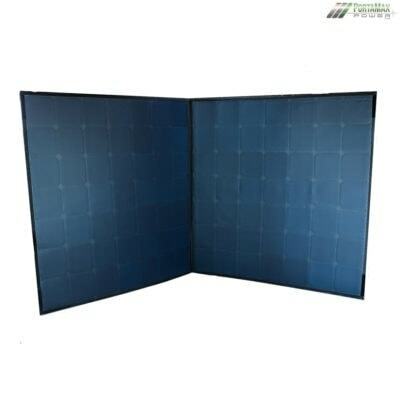 We also offer flexible solar panels that measure 36″x74″ and weigh no more than 11 lbs. each. One word of caution: Don’t bring a small electric heater or electric AC unit out to the party and expect to power these and the rest of your appliances all day. If these units plug into a standard wall outlet, you can plug them into the Solar Sentinel 2400, but they will drain your battery very quickly on most days. If you need something to cool you down, bring a fan. If you need heat, bring out a portable fire pit. Aren’t There Cheaper Tailgate Power Options? 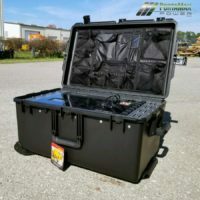 As mentioned previously, there are other portable solar generators out there, and many are cheaper than the Solar Sentinel 2400. Most of them are basically large battery backups with solar power as an afterthought. Some of them may provide the power you need if you’re only staying out there for part of the day. But if you want sustainable power that will stay on for the duration, cheaper is not always better. For your serious tailgating needs, go with the one sustainable solar generator that will never let you down: the PortaMaxPower Solar Sentinel 2400.